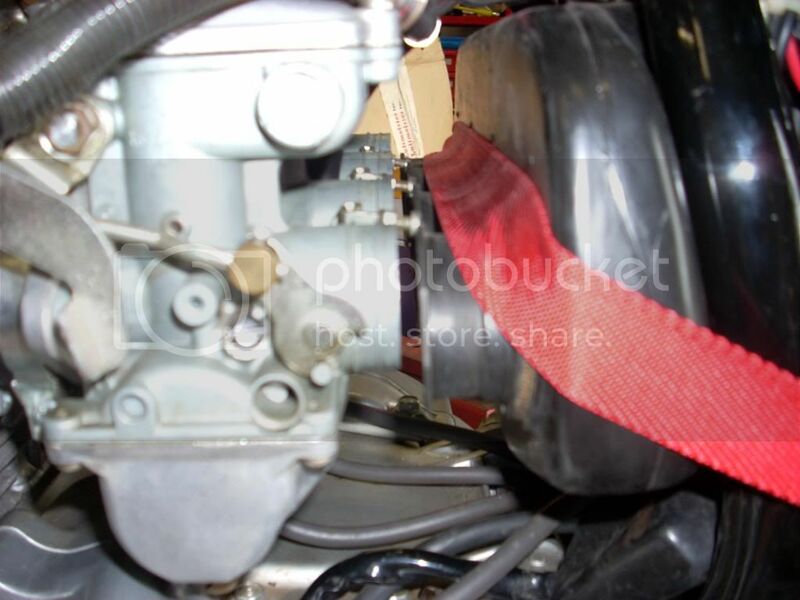 Topic: CB400F carb removal Tip. Hey guys I don't mean to steal credit for this. The tip was passed on to me by a fellow SOHC freak. 400 carbs are some times a pain to remove especially if you do not want to damage engine paint or air box bits. The tip I got is all standard procedure except that we use a tie down strap to pull the air box back and give you a precious 1/2 inch clearance that makes ALL the difference in the world. Loosen your intake clamps and push them up as close to the head as possible. Loosen the air box clamps all the way. LOOP the tie strap over the air box boots and back to the rear of the bike. pull the air box off the carbs and push it back. Now gently apply pressure with the strap and the box will stay put with a nice open gap. 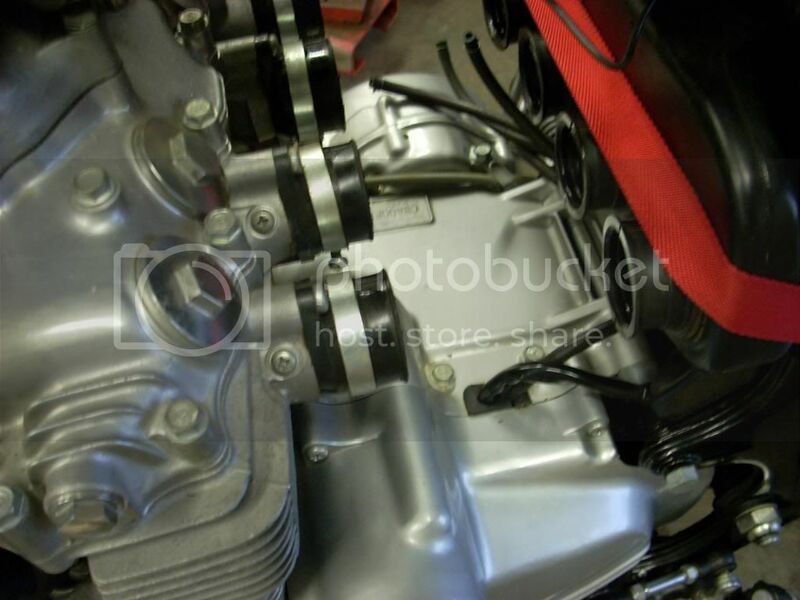 Remove the air box clamps as you don't want to mangle them as you remove the carbs. Remove all your vent hoses including the large breather hose. Remove the throttle cables and pull the carbs out the right side of the bike. Super slick and NO mangled bits or fingers! Re: CB400F carb removal Tip. I know what you mean. I have done it many times before and I cursed EVERY TIME. Hopefully it will help on the next set you have to do! Bless You for posting this! I have a ground up restoration and could not find a way to install the carbs without the possibility of scratching everything. This worked perfectly. Awesome! I'm going to go try this right now on my CB350F! Worked like a charm for my CB350F. I've wrapped the strap around my carbs and my rear wheel after that around the air filter box and my rear wheel. By wrapping it behind the rear tire I can just move the wheel around a bit to make it tighter or get it loose again. Thanks alot from The Netherlands! Hi - thank you - wonderful tip. I need to pull my carbs on my '73 350F after a badly botched sync'ing attempt and I don't want to disassemble any more than I have to. Just to clarify, it appears you don't have to loosen any screws back by the airbox/battery box area? Just pulling the plastic plenum back with the strap is sufficient? Just want to make sure. Thanks for this great tip ! !